The December 2015 theatrical release of Star Wars: The Force Awakens is now only a little over a month away, and anticipation is mounting ever higher as various plot theories and character trajectories, factually based or not, are put forward based on all evidence and feature footage released so far. Only just recently, Harrison Ford and Simon Pegg came forward to offer their thoughts and feelings on the latest production from director J.J. Abrams, with word from both parties indicating enthusiasm for the franchise going forward. Pegg spoke to Abrams' ability to capture the "genuinely magical" spirit of the Star Wars universe, and Ford acknowledged the movie's many "emotional elements" that have led to a more mature Han Solo in the new film. And now, word from a third lead actor is equally optimistic about another beloved character who has seen her own personal developments since 1983's Return of the Jedi. 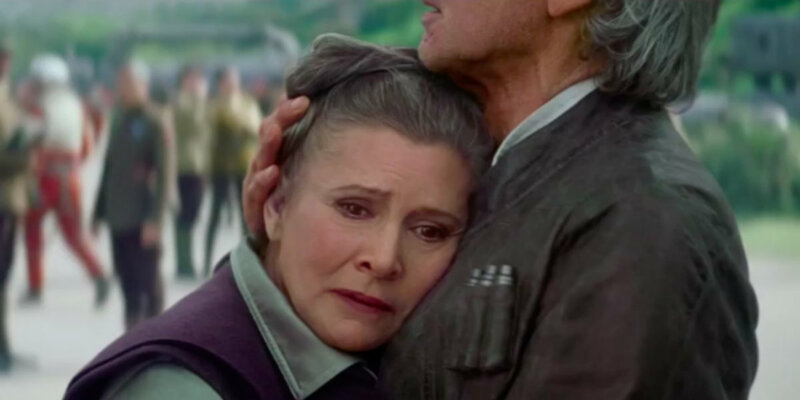 "The stakes are pretty high in the story for her, so there’s not much goofing around where Leia’s concerned, but it felt historic to have her, especially with Harrison, back in scenes together. I can only imagine the baggage that they bring to it, I’m just a fan who loves this stuff, but they’ve been living with it, and living in it, since 1977." Fisher was equally forthcoming regarding the greater obstacles standing in her character's path this time around, remarking on the "General's" state of mind facing the new dangers presented in Episode VII as being, "Under a lot of pressure. Committed as ever to her cause, but...feeling somewhat defeated, tired, and pissed," though that hasn't stopped the spunky spitfire of the former Rebel Alliance from admonishing others to "Never give up," despite the odds, and all presumably sans slave outfit. From the sound of things, all appears to have gone well on the set with reunited on-screen lovers Fisher and Ford, even if the actress in question wittily remarked on her and Harrison being "pretty sick of each other by now." 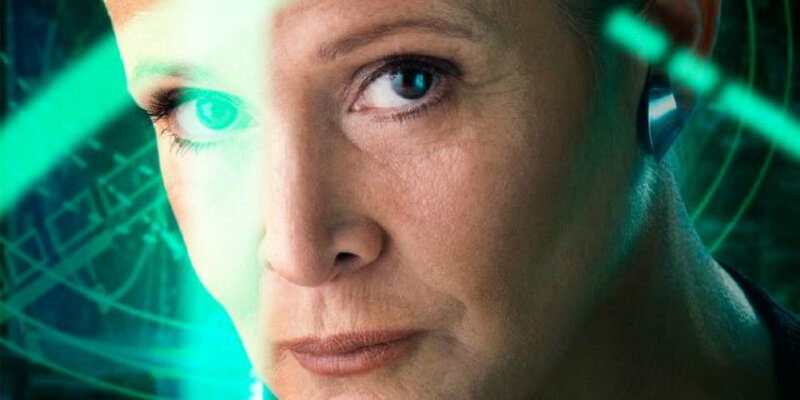 With Fisher back on board as General (don't-call-her-Princess) Leia, the new film should be a knockout hit and return to form given the presence of the former "free-associative mind," and "divining rod for wordplay," as Abrams referred to Fisher in passing. Mark Hamill's ultimate role in the film is still largely unknown, with no footage released so far of his legendary Luke Skywalker character. Meanwhile, Ford and Fisher at least appear to be at the forefront of a lot of the action and intrigue coming soon to theaters. Furthermore, both actors still appear to be as in touch with the intrinsic natures of the their respective film personas, which can only speak to Abrams' ability to bring out the best of the franchise in its seventh proper installment.